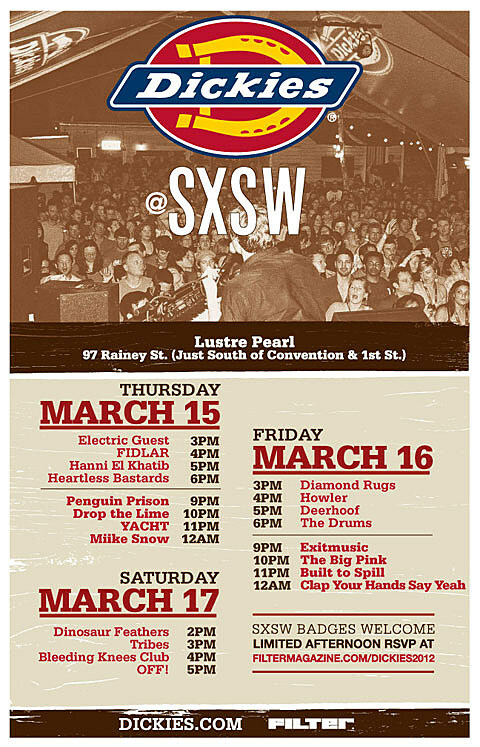 Lustre Pearl is located at 97 Rainey Street in Austin, just south of 1st Street and the convention center. Festival badges are required for access to nighttime performances, and limited RSVPs for daytime performances are available at www.filtermagazine.com/dickies2012. In related news, The Drums released a free Ronettes cover for Valentine’s Day today.